London - West Ham named former Everton and Manchester United boss David Moyes as their new manager on Tuesday after sacking Slaven Bilic following a string of poor results that left the club mired in the Premier League relegation zone. The Hammers parted company with Bilic on Monday, two days after a chastening 4-1 loss at home to Liverpool convinced co-chairmen David Sullivan and David Gold that the club needed a change of direction to stop the rot. 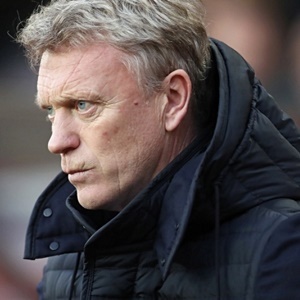 West Ham, languishing in 18th position with just two wins in 11 games, are banking on Moyes's experience in the English top flight to lift them out of danger despite his underwhelming recent record in management. "We need somebody with experience, knowledge of the Premier League and the players in it, and we believe David is the right man to turn things around and get the best out of the players at the club," said Sullivan. "He is highly regarded and respected within the game, and will bring fresh ideas, organisation and enthusiasm." West Ham have not disclosed the length of Moyes's contract but some reports said it was a six-month deal, suggesting the focus is on survival this season. Moyes, 54, has been out of management since he resigned from his post at Sunderland at the end of last season after failing to prevent the northeast club being relegated from the Premier League. He managed Everton for 11 years from 2002 before leaving the club to replace Alex Ferguson at Manchester United but was dismissed after just 10 months in charge. Despite his failure at United and an underwhelming stint in Spain with Real Sociedad, the Hammers are backing the Scot to help shore up a leaky defence as well as getting the best out of big-money summer signings Marko Arnautovic and Javier Hernandez. But he faces a challenge to win round the fans after some supporters viewed his proposed arrival at the London Stadium with scepticism. "Do I have a point to prove? Yes, I think I do," Moyes told the club website. "I've managed five clubs since starting out nearly 20 years ago, starting at Preston and then going to Everton. My period at Manchester United is well-documented and I then did something I have always wanted to do by experiencing management abroad, with Real Sociedad. "It's only been the last job where I feel it wasn't a good move and I didn't enjoy the experience. So I'm hungry to make sure I get things right now. "The focus here is purely between now and the end of the season. The first thing is to win the next game and build from there, and I'm sure we will be in a much stronger position before long." Moyes took training on Tuesday and has almost a fortnight to get to know his new players, with his first match in charge at Watford on November 19. Former West Ham defender Bilic is the fourth Premier League managerial casualty of the season, the Croatian's exit following those of Frank de Boer (Crystal Palace), Craig Shakespeare (Leicester) and Ronald Koeman (Everton).